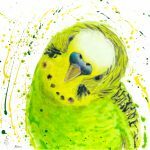 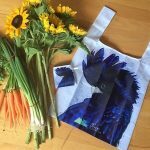 I paint bright, bold, colourful, splashy birds. 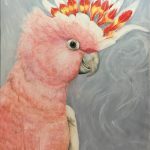 I love colour and I am fascinated with birds. 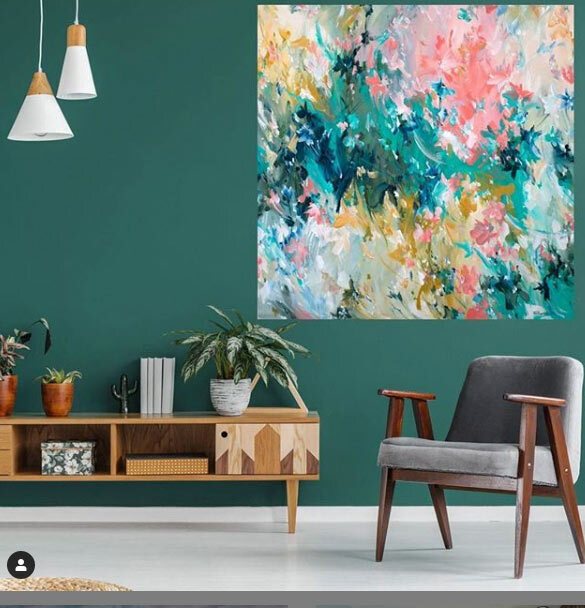 Lately I’ve also been delving into abstracts and expressing emotions through colour and form. 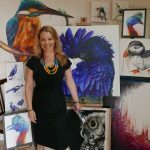 I have been painting for fun all my life and love expressing myself through colour. 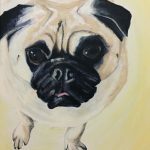 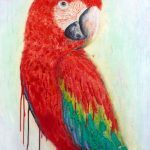 I paint large scale, expressive, acrylic paintings. 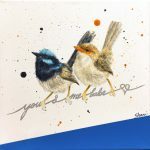 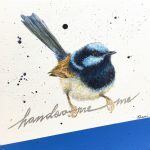 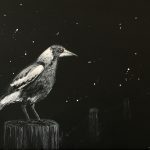 I’ve been painting birds for many years. 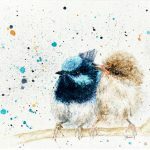 I enjoy painting them and I’m fascinated by avian creatures but more recently I’ve been expanding my artistic vocabulary through abstraction and emotional expression. 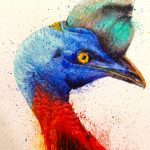 My fascination with birds came from my childhood in Papua New Guinea surrounded by beautiful toucans, cockatoos, parrots, hornbills, birds of paradise and many others. 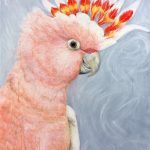 I fell in love with their amazing feathers, beaks, claws and quirky behaviours. 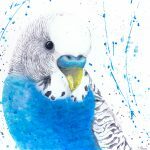 Birds have become a customary part of my artistic vocabulary now. 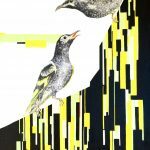 More recently I’ve delved into concepts that are a little more personal and confronting. 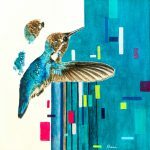 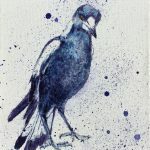 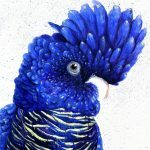 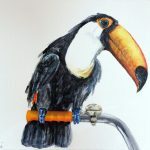 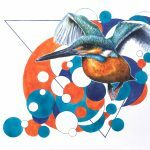 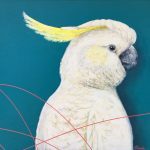 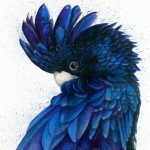 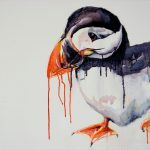 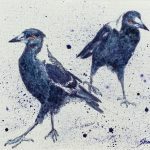 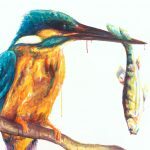 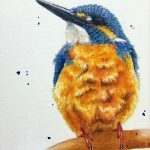 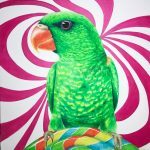 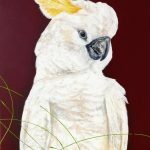 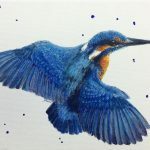 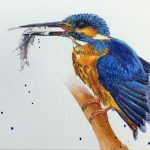 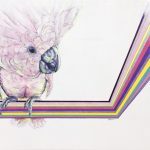 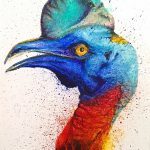 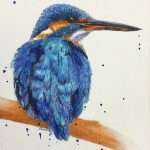 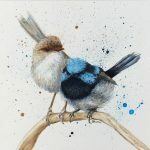 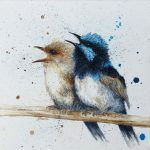 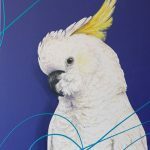 Incorporating vertical lines, colour glitches and static, disconnected detail in my bird portraits, I want to create an energy in the white noise that surrounds the colour. 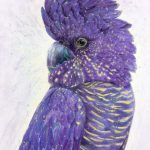 I use colours to invoke a feeling or emotion and attempt to convey an uncomfortable internal conflict I have with anxiety. 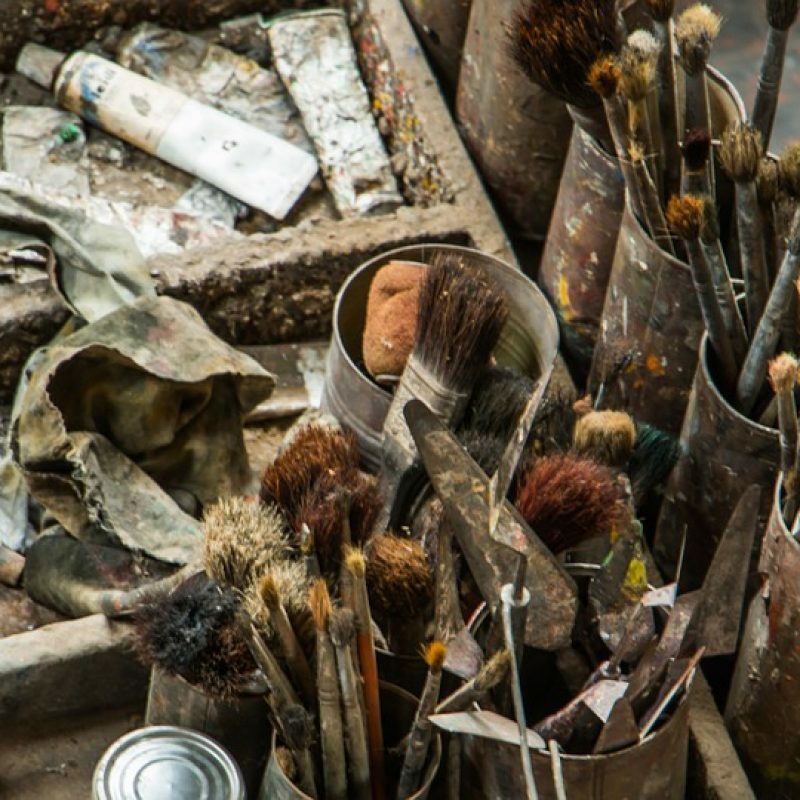 By mixing my inner and outer self I still want to create something beautiful. 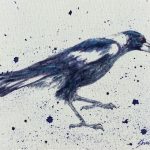 I’ve found there’s an attractive, quiet chaos that has unfolded. 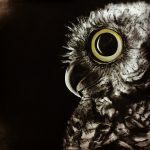 This new body of work will be available here soon.